The all-new racier Lexus NX 300h Sport has officially been unveiled, priced from £36,500 in the UK and due on sale next month already! The backbone of any premium car company’s product line-up these days is a mid-size SUV. 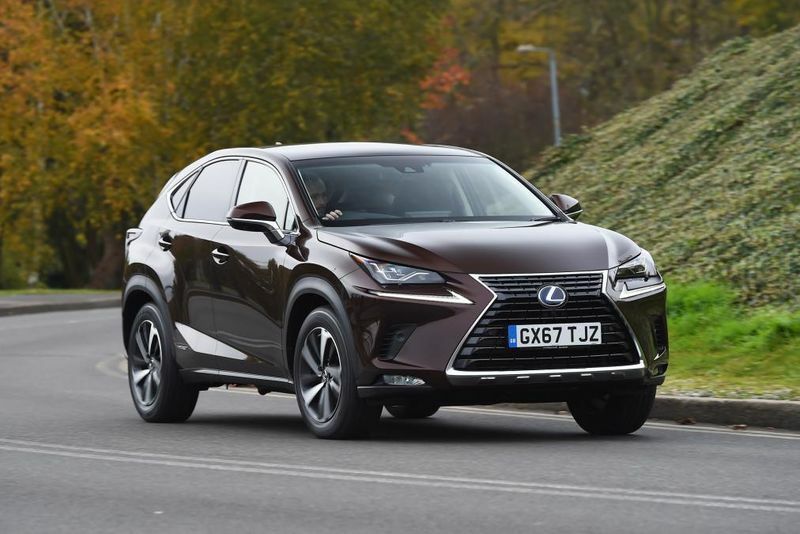 The NX is Lexus’ offering and, to keep it fresh in a sector where buyers have the option between the plush Volvo XC60 and racy Alfa Romeo Stelvio, it has been given a bit of TLC. Lexus has introduced a new Sport spec for its NX 300h SUV, featuring mild styling tweaks and an exclusive interior. Prices will start from £36,500 when it goes on sale in June. The new Sport version is the first new variant of the hybrid crossover since its introduction in 2015, and follows the same pattern as seen with the RX 450h Sport SUV and IS 300h Sport saloon. While there are no performance or mechanical alterations, the Sport does get new black exterior detailing for the Lexus family grille and door mirrors. Two-tone black and bronze 18-inch alloy wheels also help make the NX Sport stand out from the standard SUV, and all come together to give this new Lexus NX 300h Sport a new fresh and modern feel. The 2.5-litre hybrid in the NX 300h is now the only option in the NX range. The hybrid set-up is identical to that fitted in the NX when it launched in 2014, comprising a 2.5-litre four-cylinder engine and an electric motor on each axle to deliver four-wheel drive, all through a CVT gearbox. The cabin has been given a selection of sporting touches to match the exterior – with the option of an all-black Tahara interior finish. Alternatively, customers can opt for the Tahara black with white contrasting accents on the seats and instrument panel, which is unique for the Sport version. The Sport gets the same equipment specifications as the NX 300h SE, which means a 10.3-inch Lexus Premium Navigation display screen and Lexus Safety System+, as well as a 10-speaker audio system with DAB radio and a CD player... yes a CD player, which is quite strange for a brand new car. Other standard equipment includes rain-sensing windscreen wipers, eight-way power adjustable heated front seats, a reversing camera and dual-zone climate control. A Parking Pack with front and rear parking sensors can be chosen by customers as an optional extra. The NX Sport will arrive in showrooms on 1 June, with customer deliveries expected from July. Video: Lexus Sriracha Is ' It's Hot? Lexus Lc-f Takes On The Nissan Gt-r!